Everyone's counting on him With the sudden death of his father, Jack Hamilton finds himself running the family amusement park, Starlight Point. His first job? Balance the books, and that means raising the rent for vendors like baker Augusta Murphy. Gus won't accept the new contract…not without a fight. She rallies the other vendors and sets out to negotiate with Jack. At least, she tries. How do you play hardball with a man who's charming and kind and still grieving? Gus needs to figure it out fast, because the closer she gets to Jack, the more she risks losing everything. 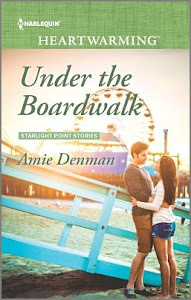 Goodreads│Amazon│B&N│Harlequin Find out more and connect with Amie on her website. 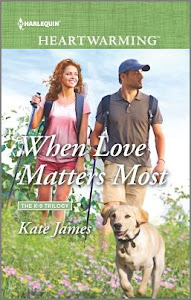 When Love Matters Most by Kate James Keeping her safe at all costs Could their backgrounds be any more different? Rick Vasquez, a K-9 unit sergeant with the San Diego Police Department, fled drug-related violence in Mexico as a boy. Madison Long, who recently became primary veterinarian to the SDPD's canines, is the privileged daughter of a judge. Rick has dedicated his life to curtailing cross-border drug trafficking and preventing other young boys from being drawn into the dark world of the cartels. But everything Rick and Madison value, and the growing love between them, is threatened by the dangers of Rick's job, and the risks he's determined to take… Goodreads│Amazon│B&N│Harlequin Find out more and connect with Kate on her website. 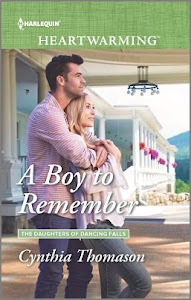 A Boy to Remember by Cynthia Thomason You can't live a lie forever One magical summer—that was all it took for Alexis Foster to fall deeply in love with Daniel Chandler. And then she gave him up to keep Daniel from sacrificing his own dreams. But the passionate bond they shared is rekindled when Alex returns to her family's farm…with a powerful secret. Ohio's youngest state senator, Daniel's star is on the rise. He's also discovering a kindred spirit in Alex's seventeen-year-old daughter. Alex has to tell him the truth even at the risk of his political future…even if it costs her the two people she loves most. Goodreads│Amazon│B&N│Harlequin Find out more and connect with Cynthia on her website. 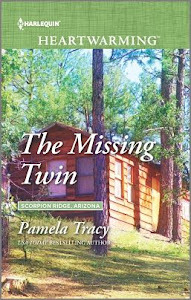 The Missing Twin by Pamela Tracy The secret between them Angela Taylor knew her sister was in trouble. For anyone but a twin, her instincts would seem crazy, and her actions crazier. Picking up and moving her and her daughter, Celia, to Scorpion Ridge, asking questions, put them all at risk. Even more risky was trusting Jake Farraday, the handsome ex-cop turned forest ranger. Years in witness protection had taught Angela to trust no one. Yet with Abigail missing, Jake was her only hope, and she found herself wanting to share more of her past with him. And more of her future. But did Jake have his own motives for helping Angela? Goodreads│Amazon│B&N│Harlequin Find out more and connect with Pamela on her website. You can also purchase all four together at Harlequin, Amazon, and B&N, and from December 1st to January 4th, readers can Buy One, Get One 50% off all Harlequin series books at Books-A-Million stores across the US! We hope you will enjoy some Heartwarming this coming year!